North Castle Partners, a leading private equity firm focused on consumer businesses that promote Healthy, Active and Sustainable Living, announced today the final closing of North Castle Partners VI, L.P. (“NCP VI” or the “Fund”). The Fund, which was oversubscribed, achieved $300 million of committed capital, in just over six months. NCP VI is North Castle Partners’ sixth focused fund. “We welcome our new investors to North Castle and are gratified to receive the support of our returning investors, who increased their commitments by approximately 25%,” said Chip Baird, North Castle CEO and Founder. In April 2016, North Castle partnered with the Founder and current CEO of JTL Enterprises Inc. (dba HydroMassage) to build the leading equipment brand that is universally recognized as promoting recovery, relaxation, and wellness through dry hydrotherapy. Founded in 1989, HydroMassage offers dry hydrotherapy massage systems in two basic formats — bed and lounge – that employ a traveling jet system, which is directly controlled by the users for a quick and effective full body massage. In May, the Fund’s second investment was completed in partnership with the current management team of SLT Group LLC (dba Strengthen, Lengthen and Tone) to build a premiere boutique fitness studio operator engaging clients with an intense core-focused full body workouts combining the benefits of cardio, strength training and Pilates style movements. to Strengthen, Lengthen and Tone. The workouts are led by an instructor who utilizes a machine that incorporates an arrangement of springs, straps, and pulleys along with body weight to systematically work out the entire body. “With HydroMassage and SLT, we will leverage our extensive and highly relevant network and experience in the fitness and fitness equipment industry — including our investments in the traditional fitness club space (Equinox and World Health), and fitness equipment industry (Octane Fitness) as well as our newest investments in boutique fitness (Barry’s Bootcamp and Brooklyn Boulders) — and partner with the respective management teams to grow these companies and assist them in achieving their next level of success,” added Jon Canarick, Managing Director. “The foundation of the North Castle approach is to partner with exceptional management teams and industry professionals to unlock the full potential performance of companies in the Healthy, Active and Sustainable Living sector. We believe NCP VI is off to a great start with the investments in HydroMassage and SLT,” concluded Chip Baird. North Castle Partners is a leading private equity firm focused on investments in consumer-driven product and service businesses that promote Healthy, Active, and Sustainable Living. North Castle is a hands-on, value-added investor in high-growth, middle market companies in the (i) beauty & personal care, (ii) consumer health, (iii) fitness, recreation & sports, (iv) home & leisure and (v) nutrition sectors, among others. North Castle’s current portfolio includes such well-known brands as HydroMassage, Strengthen Lengthen and Tone, Curves International/Jenny Craig, Barry’s Bootcamp, Palladio Beauty Group, Mineral Fusion, Red Door Spas, Sprout Organics, SmartyPants, Brooklyn Boulders, Ibex Outdoor Clothing, and Turnbridge. Prior portfolio company holdings include Atkins Nutritionals, Contigo, Doctor’s Best, Octane Fitness, Cascade Helmets, Bora-Bora Organic Foods, gloProfessional, Equinox Fitness, EAS, Enzymatic Therapy, CRC Health Group, Doctor’s Dermatologic Formula, Naked Juice Company, Flatout Flatbread, and Avalon Organics / Alba Botanicals. North Castle and its operating executives and advisors partner with management to bring a wide range of strategic and operational capabilities to build world-class companies by unlocking the exponential power of Full Potential Partnerships. 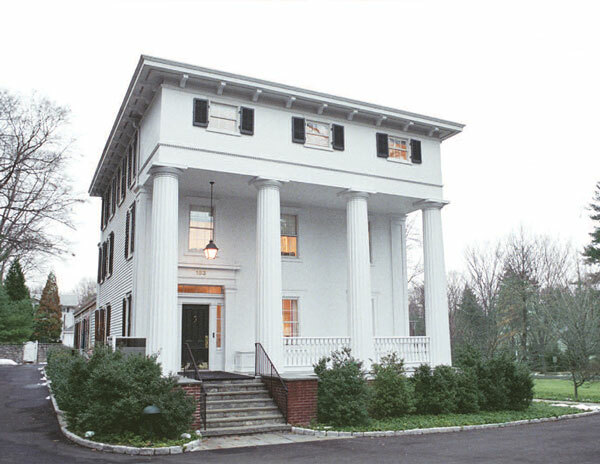 North Castle is headquartered in Greenwich, CT. For more information, visit www.northcastlepartners.com.